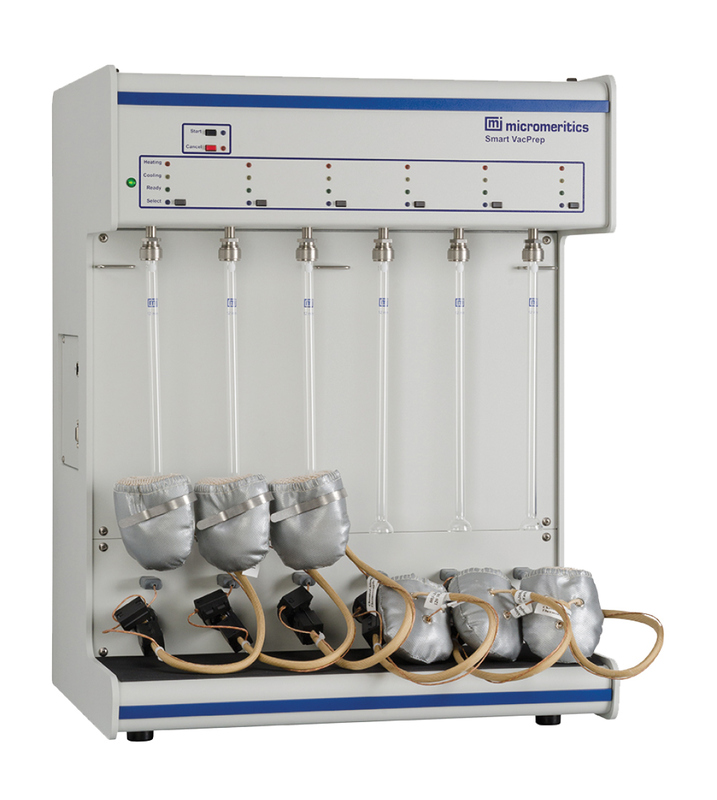 The new Micromeritics Smart VacPrep is an advanced six-port system that utilizes vacuum to prepare samples by heating and evacuation. Each of the ports may be operated independently. Samples may be added or removed from degas ports without disturbing the treatment of other samples undergoing preparation. Degassing automatically terminates when the samples have completed all programmed steps. The Smart VacPrep software includes a set of default ramp and temperature parameters. However, you also have the option of programming each port with a different set of parameters. A record of the sample preparation time and temperature can be recorded as part of the sample data file. The degas program may be started or terminated by using software installed on the computer attached to the analysis instrument or with push-buttons on the front panel of the Smart VacPrep. This time-saving, ‘Rapid-Start’ mode on each port gives you the ability to walk up to the instrument, attach the sample tube with heating mantle, and immediately start degassing a sample.